Here’s a free printable Harry Potter inspired wall art: “It’s not much, but it’s home”. Potterheads will of course know that this quote was pronounced by Ron Weasley when introducing Harry to The Burrow (the Weasley Family’s home), aka the homiest place on earth. 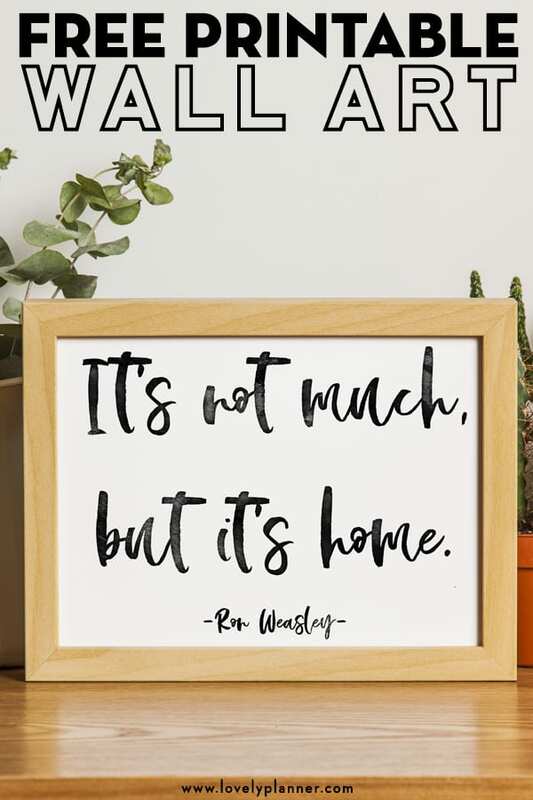 If you feel the same about your home, then you should ever feel so grateful and proudly add this wall art to your decor. I’m including 3 versions of this sign in the PDF (black ink, solid black text, white text with white background). 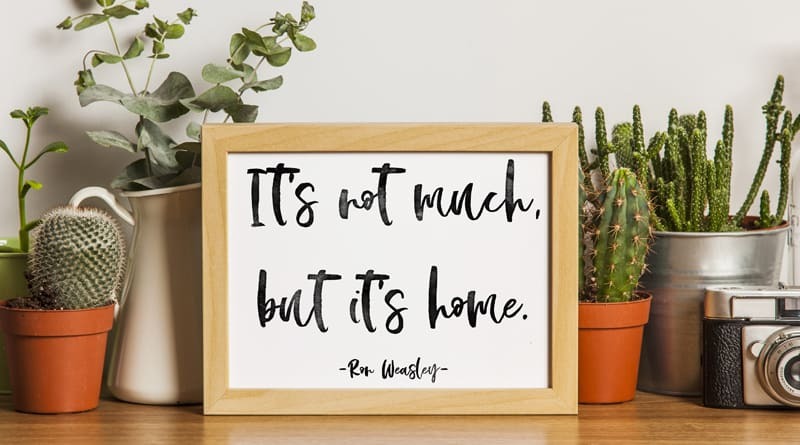 A home is made of bricks and mortar but it’s the love and people that live in it that make a house a home, and this printable wall art is a lovely reminder of that. We have much to be grateful for! You could display this sign near your entrance door for example, living room or even in a guest bedroom. If you like Harry Potter, like I do, make sure to check my other HP inspired free printables. 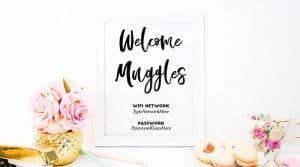 You can also follow me on Pinterest where I have a board with lots of Harry Potter ideas and printables! Important: Please note that I am in no way affiliated with the Harry Potter franchise, this free printable is merely a fan art creation.